It’s nearing 10pm on a Thursday night and Lady Bearica Andrews, a heavily bearded drag queen, is rocking dark, glittery eyeshadow, cartoonishly cherry red lipstick, and a leotard. She throws a collapsible nylon camping chair across the ballroom of the former Polonaise Terrace, just missing the chandelier illuminating the dim event hall. Another drag queen locks the heel of her patent leather pumps on an empty garment rack and rides it like a scooter, while a third, Ariel Italic -- dressed in chic, '60s-style colorful printed pants paired with a white, short-sleeved mock-turtleneck -- lip-syncs a stream of “drag suicide” jams (Whitney Houston, Rihanna, disco standards) played by DJ Accident Report. This trio makes up The Nobodies, a drag collective hosting (along with special guests) weekly RuPaul’s Drag Race watch parties at the Brooklyn Bazaar, housed in a former Polish banquet hall. "We had to get started by taking that spot -- nobody was going to give it to us." The Nobodies don’t look like the queens competing on the glossy VH1 show -- their nails are unvarnished, lacking the sharp edges and deep shine of the acrylics that typically adorn competitors’ fingertips, and their faux curves aren’t as realistic as their small-screen counterparts’. But an appreciation for RuPaul’s juggernaut broadcast, beamed into homes across the country, affords them more space to perform. 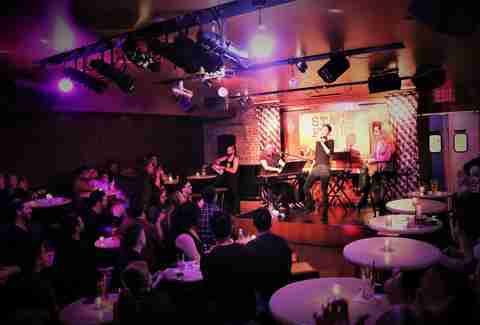 The backdrop of the show unites an audience eager to break the fourth wall and experience drag culture up close. The trio can’t legally charge admission to watch the broadcast, so they fund the party by selling cards for Drag Race bingo to be played during the show, by earning a portion of drink proceeds, and via cash tips the audience tosses at them or tucks in their costumes during lip sync performances after the credits roll. The Nobodies’ weekly event is one of New York’s many watch parties, post-show fetes, and performances that Thursday nights at 8pm -- concurrent with RuPaul’s Drag Race on VH1. 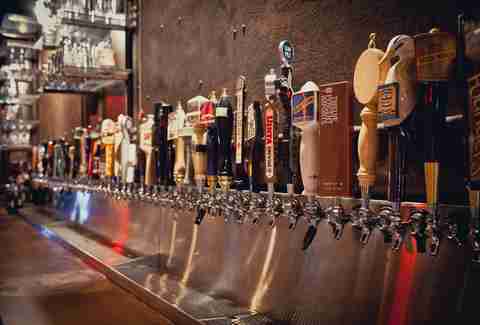 (We’ve rounded up nine of the city’s best spots to join the fun: Just keep scrolling below.) The flamboyant reality show, formerly on Logo, switched to VH1 in 2017, expanding its reach far beyond the LGBTQ-dedicated network. For those who haven’t watched Drag Race, a quick overview: It’s America’s Next Top Model meets Project Runway meets America’s Got Talent meets, well, your neighborhood gay bar’s weekly drag night. 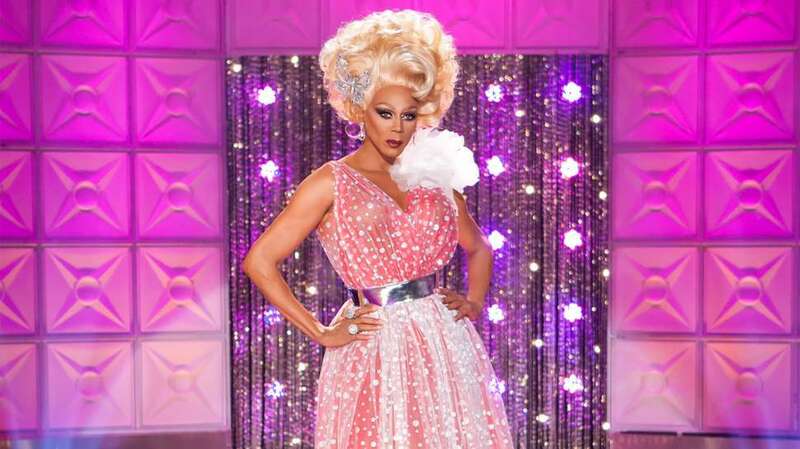 RuPaul Charles (aka Mama Ru) hosts, drag queens from across the country compete in costume design, celebrity impersonation, and music video dancing challenges, and, when ranked in the bottom two by a panel of celebrity judges, lip-sync for their lives. To date, no romantic relationships have occurred on camera, nor have any quickfire cooking challenges. Otherwise, the hour-long cable reality show is truly a hybrid of all the best parts of the competition TV genre. Aja, a Brooklyn-based drag queen who competed on the show and has returned for this season of All Stars (where former queens re-compete) hosted Drag Race watch parties long before it was a pop culture trope. “They have literally always been around,” she told me. Since the show premiered in 2009, pretty much every gay bar with a TV aired the show, and local queens started hosting events before, during and after the parties, because, as Aja puts it, “not everybody got cable, girl.” Streaming the show gets people to queer bars, which in the age of dating apps and pop-up parties, can hurt for business. “I’ve never seen an empty bar showing Drag Race,” Aja says. As the popularity of Drag Race skyrocketed in the past few years, New York city’s drag scene became even more competitive (is any industry in New York not competitive?) 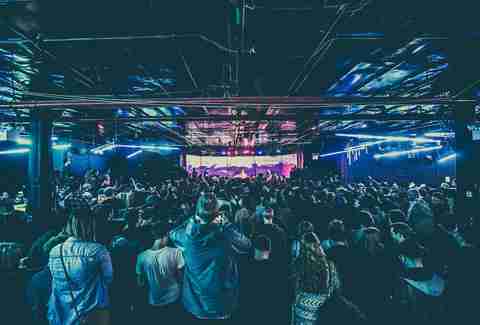 -- but simultaneously, more people outside of drag’s traditional audience wanted to see queens. It's America's Next Top Model meets Project Runway meets America's Got Talent meets your neighborhood drag night. The LGBTQ+ community has always united over entertainment, likely because there is so little mainstream, or even fringe, television catering to LGBTQ+ people. But Drag Race transcends the boundaries of queer entertainment, appealing to straight folks a way that dramas like The L Word (or, better yet, The Real L Word) or Looking never could. "Straight dudes are like, 'Drag queens are kind of OK,' and I'm like, 'Oh, bros are kind of great.'" The 10th season of RuPaul’s Drag Race begins Thursday, March 22 on VH1. Whether you’re a weekly devotee or you’re just getting into the show, put some bass into your walk and head straight to these queen-approved NYC watch parties, currently airing RuPaul’s Drag Race: All Stars at 8pm on Thursday nights. The Nobodies host a weekly viewing party starting just before the show airs until 10pm. A chunk of the audience leaves as soon as the show ends, but the hour after is full of subversive drag performances. Bingo cards are $2, or $5 for four cards, and winners get T-shirt or perfume as a prizes. Bring cash tips for the after-show. “No matter how grungy and dirty the floor looks, and the bathroom always reeks of foreskin, it will always be a great place to watch Drag Race,” Aja says. 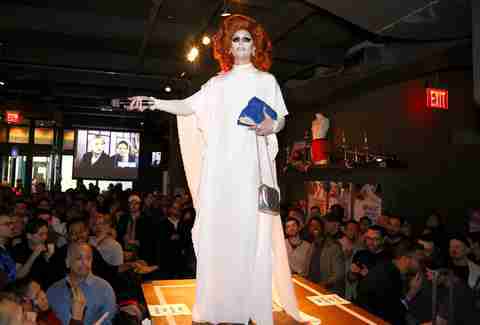 Former Drag Race competitor Thorgy Thor hosts watch parties here, as do other local queens like Heidi Glum. The party changes each week, but this staple Brooklyn gay bar always airs the show. The bar streams episodes on two oversized HD projectors for a crowd of mostly North Brooklyn locals. Beers are two-for-one before the show from 4pm-9pm and a Glamazon Punch is $7 during the show. A new host and performer are in the works for Season 10. Snack on free popcorn at this weekly viewing party hosted by Sassy Frass and Suburbia. After the show, drag performances and a DJ set keep the queer energy going at this bar perhaps better known for its cheap wings and burger and beer Mondays. This popular gay bar serves RuPaul realness on Thursday nights, hosted by Brita Filter. Get two-for-one happy hour drinks from 4pm to 9pm and $6 Absolut cocktails all night. Starting at 7:30, $5 special cocktails, $5 select beers, kitchen specials, and RuPaul’s Drag Race trivia during commercial breaks are all on the menu at this weekly watch party. Don’t skip out on mac & cheese pancakes before you sashay away. Better than seeing a shrink, this mainstay gay bar screens Drag Race weekly, with commentary and extra energy delivered by drag diva Monet X Change. 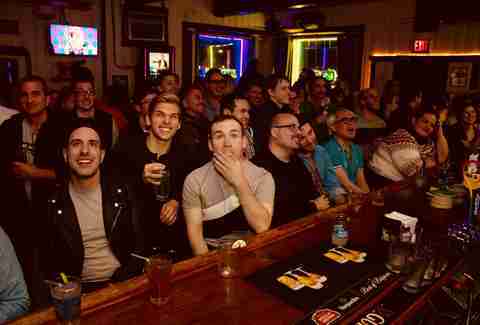 Local Astorians crowd into this local dive just off the highway to watch live showing of Drag Race each week. Special drinks ($7-$12), like the Flaming Aja and the Trixie Pixie, are inspired by the show’s competitors. 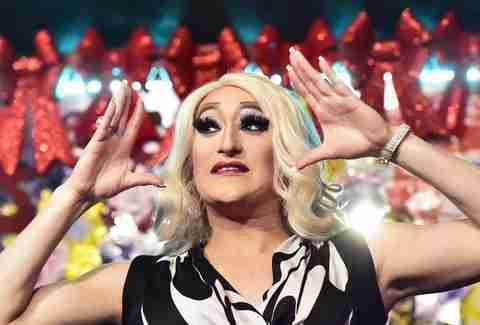 Those craving more drag can also stop in on Saturdays, when Albatross hosts live drag shows. Drag is pretty much always on deck at this hub for gay nightlife, but on Thursdays, Shuga Cain hosts a watch party complete with a drag show, special drag guests, and games. Melissa is a writer based in Brooklyn. She used to host watch parties for The Real L Word. They were not popular or well-attended.